Welcome to High Caliber Creations – home to FULL CARTRIDGE BULLET JEWELRY! We have the original and most extensive AUTHENTIC bullet jewelry collection anywhere! 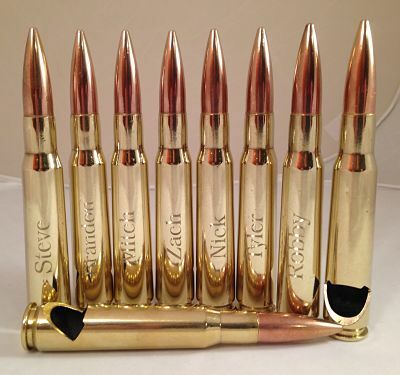 Better yet - we can CUSTOM ENGRAVE your bullet cartridges, as well as many other products for you! Our "bullet jewelry" is custom-made from REAL ammunition components. While NONE OF OUR PRODUCTS CONTAIN LIVE AMMUNITION, we meticulously work to make our bullet jewelry look as authentic as possible, down to the millimeter! Unlike the majority of bullet jewelry designers, most of our jewelry is made with the ENTIRE cartridge, not just simple case heads or casings. We are also proud to say that many of our products are made from recycled materials, such as the brass we collect at the target shooting range. We are constantly adding new & unique products to our inventory. We have products for both men and women - and even several items for Fido! We are the "go-to" company for soldiers, hunters, Second Amendment advocates, Hollywood and major music artists. Along with our basic bullet jewelry, we are also home to "Glammo Ammo" jewelry and beautiful ammo-free jewelry. 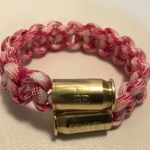 As if that is not enough, we offer custom made paracord items, with and without ammunition components. 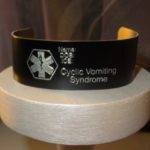 Our survival bracelets and glow-in-the-dark and/or reflective dog collars and leashes are immensely popular! Finally, we offer personally engraved products in our "Engraved Tributes" section. We hope you will agree that our designs are "right on target." Take a look, enjoy our unique site and exercise your Second Amendment right in style! We like to say that while not all of our products have ammunition components, all of them are "HIGH CALIBER!"